Cramer & Anderson Immigration Attorney Lisa Rivas will participate in an April 26 panel discussion at Naugatuck Valley Community College (NVCC) in Waterbury focusing on the “immigration debate” in the U.S. Sponsored by NVCC’s new Center for Racial Dialogue and Communal Transformation, the panel discussion also features Angelica Idravo of CT Students for a Dream, and Stamford-based Attorney Douglas Penn, a member of the American Immigration Lawyers Association. Each panelist will present for approximately 15 minutes, with a Q&A session to follow. The discussion takes place from 11:10 a.m. to 12:30 p.m. in the Founders Hall community room at NVCC. Light refreshments will be served. An Associate in Cramer & Anderson’s Danbury office, Attorney Rivas focuses on Immigration Law as part of a practice that also includes Personal Injury, Divorce & Family Law, and Workers’ Compensation. In her work, Attorney Rivas has represented clients from across the world, primarily Latin America and the Caribbean. Closer to home, her advocacy extends to volunteer and pro bono efforts that have earned Attorney Rivas notable honors and awards. In May 2017, she received the Pro Bono Award during Law Day events in Danbury for providing free legal assistance and teaching citizenship classes to members of Connecticut’s immigrant community. As a Hispanic Center of Greater Danbury volunteer for more than five years, Attorney Rivas teaches a citizenship course she made so popular it went from being offered once a year to four times annually. She teaches two of those four classes herself. Attorney Rivas also gives free talks on immigration issues that include benefits, drivers’ licenses and more. To honor Attorney Rivas’ volunteer work, the Hispanic Center gave her the Above and Beyond Award in 2016. 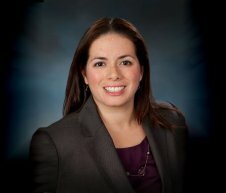 That same year Attorney Rivas won a Connecticut Law Tribune New Leaders in the Law award for her advocacy on behalf of the immigrant community. 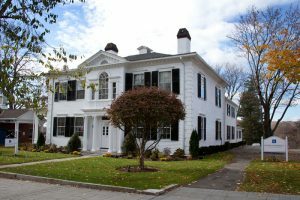 The firm also has offices in New Milford, Litchfield, Kent and Washington Depot, and a new office in Ridgefield. For more information, see the Cramer & Anderson website or call the New Milford office at 860-355-2631.